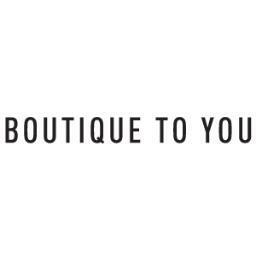 My Sunday Feeling is a women's clothing store — primarily featuring trendy casual wear. ShopSleuth found 99 women's clothing stores similar to My Sunday Feeling, out of our database of 45,744 total stores. The following stores offer the closest match to My Sunday Feeling based on our proprietary matching algorithm. Submit your vote below to help us refine our Similarity Scores and rank the stores and brands most like My Sunday Feeling! Madewell is known for their denim obsession and chambray designs. Madewell offers sophisticated casuals and denim separates for women. Les Nouvelles in an online retailer that hosts various fashionable apparel boutiques for women. Les Nouvelles presents contemporary fashion and versatile style options. Stunning collection of fashionable clothing and accessories for trend-savvy women who enjoy the laid-back California-style. More than 100 designer brands, many favored by local LA celebrities. My Sunday Feeling is a women's boutique that sells bohemian inspired clothing made from homegrown techniques. My Sunday Feeling products are romantic and ethereal with a sense of free spirit.